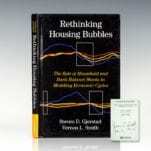 Rethinking Housing Bubbles: The Role of Household and Bank Balance Sheets in Modeling Economic Cycles. 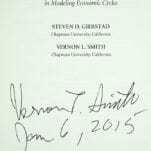 Gjerstad, Steven and Vernon L. Smith. First edition. Octavo, original glossy boards. 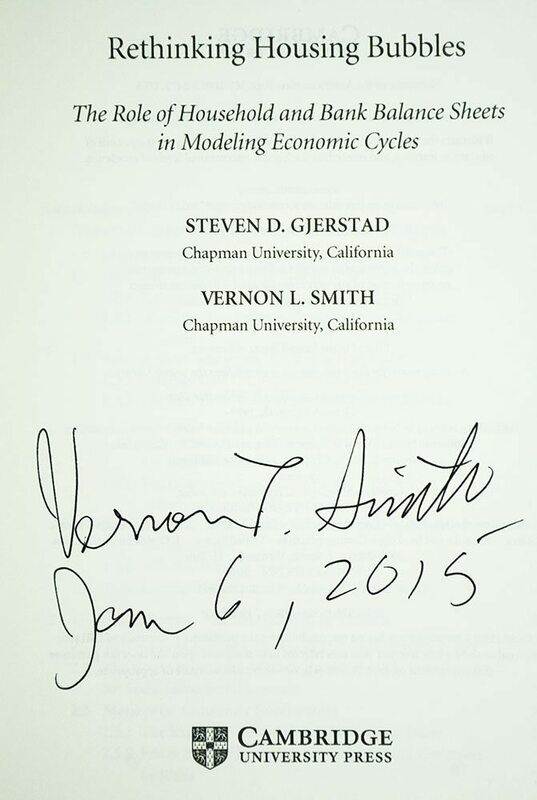 Signed and dated by Vernon Smith on the title page. In fine condition. 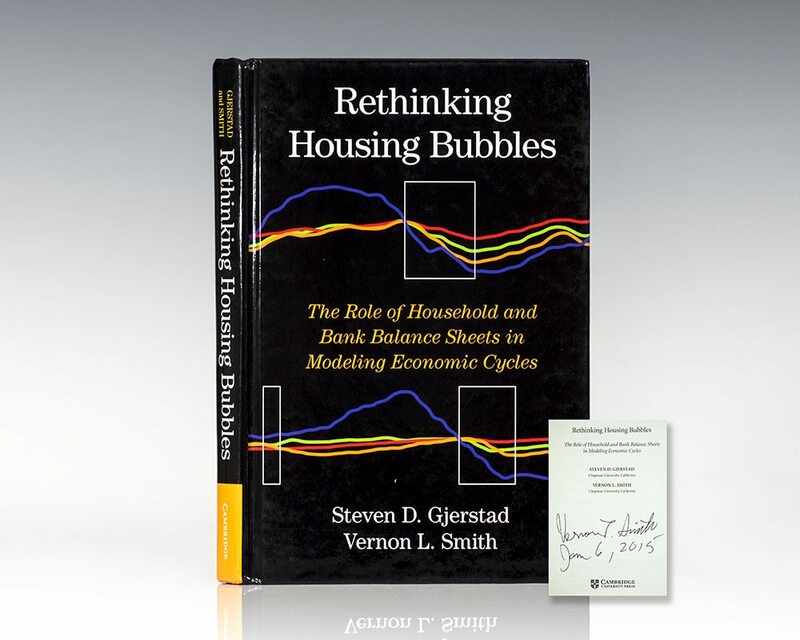 From backgrounds in experimental economics, Steven Gjerstad and Nobel laureate Vernon L. Smith examine events that led to and resulted from the recent U.S. housing bubble and collapse, as a case study in the formation and propagation of balance sheet crises. They then examine all previous downturns in the U.S. economy, including the Great Depression, and document substantive differences between the recurrent features of economic cycles and financial crises and the beliefs that public officials hold about them, especially within the Federal Reserve System. They conclude with an examination of similar events in other countries and assess alternative strategies to contain financial crises and to recover from them.